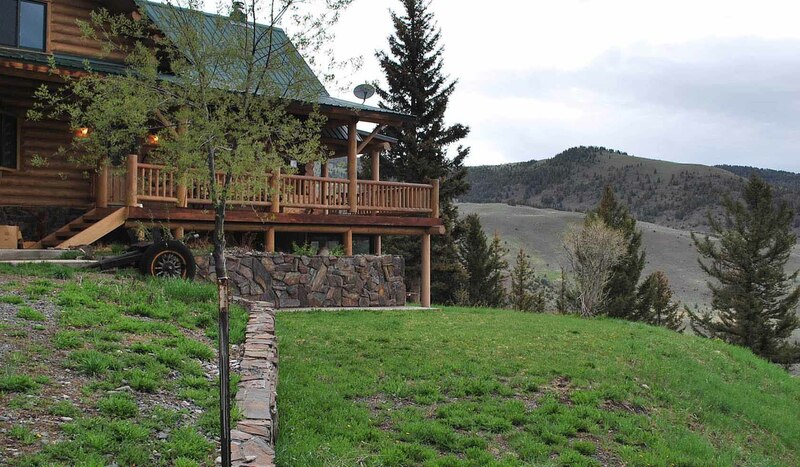 Yellowstone Mountain Cottage is a unique, 3 level cottage nestled in the mountains. This is the ultimate of a perfect peaceful vacationing location. It is only a 20 minute drive to the north entrance of Yellowstone National Park, yet you can enjoy the true experience of being in the heart of the mountains. If you are looking for a peaceful, remote location this is it! Take in the secluded wooded surroundings while enjoying spectacular views of Paradise Valley and Emigrant Peak Mountain. This property is surrounded by Forest Service lands, so you can enjoy walks and hikes on 100's of acres. You could even encounter abundant wildlife including deer, antelope, elk and even moose. This lovely cottage, 1500 square foot, three bedroom, one bath, sits on 20 private acres, and borders Forest Service on 2 sides. Cozy enough for 2, but roomy enough for 6. Great home for year-round fun. Perfect summer weather for eating meals on the deck while listening to the creek roar, or take a picnic to the creek which is a short walk. FALL is the perfect time to visit this area, the Aspen trees are breathtaking as their leaves turn, and the air is crisp. This is also a great time to visit Yellowstone, fewer visitors this time of year. Winter activities such as cross country skiing and snowmobiling are a treat here. Yellowstone offers ski lessons if needed. We are located only 20 minutes from Yellowstone National Park to the south and Chico Hot Springs to the north.